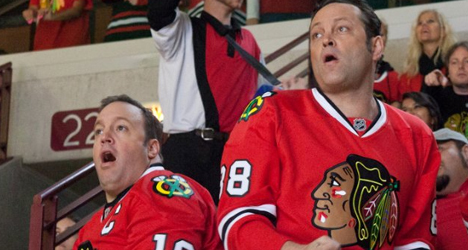 Jennifer Aniston and Adam Sandler star in "Just Go With It." 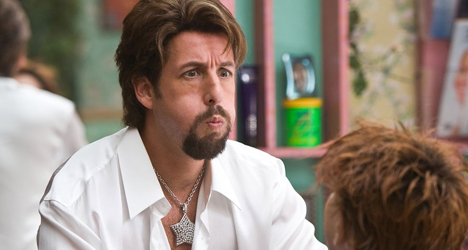 Although it isn’t as unpleasant to watch as other Dennis Dugan-directed Adam Sandler comedies of the last few years (“Grown Ups,” “You Don’t Mess with the Zohan,” “I Now Pronounce You Chuck and Larry”), there’s not much in “Just Go with It” to make you believe Sandler has any intention to give audiences anything more than the bare minimum. A remake of the 1969 comedy “Cactus Flower,” which landed Goldie Hawn an Academy Award,” “JGWI” goes for the cheap jokes and comes up with punch lines to match. Model/actress Brooklyn Decker might be the rom com’s selling point, but there aren’t enough slow-motion walks on the beach that can remedy the Sandler mediocrity.